According to the Marine Notice owners and operators should be reminded that they must comply with both the California OGV Fuel Regulation and the North American Emission Control Area (ECA) requirements. 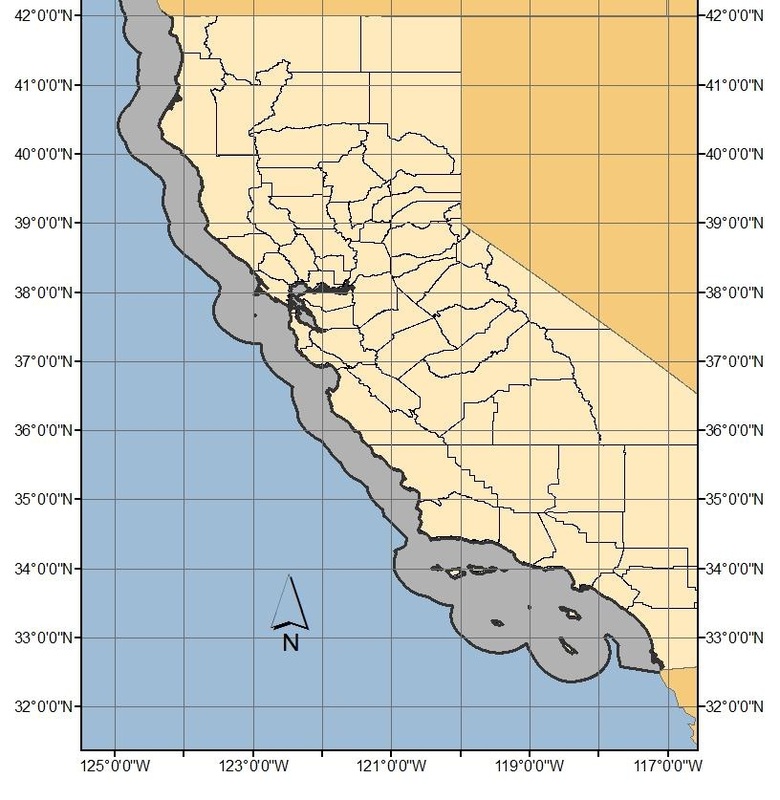 Beginning August 1, 2012 the maximum fuel sulfur (S) limit for marine gas oil (DMA) will decrease from 1.5% to 1.0% S. The maximum fuel S limit for marine diesel oil (DMB) will continue to be 0.5% S. These requirements are enforced within the California OGV regulatory zone, which is 24 nm off the coast of California, including the islands as shown in the figure below. California OGV Fuel Regulation will continue to be enforced until ECA implementation provides equivalent emission reductions. This is not expected to occur until 2015 when the ECA fuel sulfur limit is 0.1% S. This is because the ECA does not require the use of marine distillate fuels.